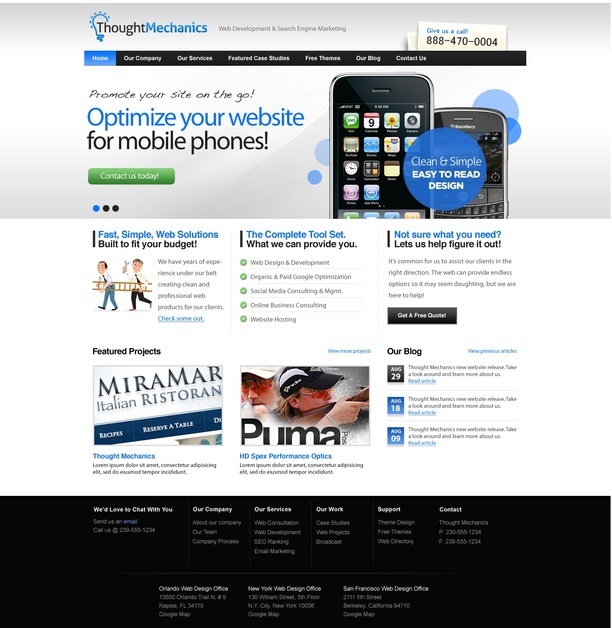 Thought Mechanics is a full service Web Design and E-Marketing firm geared towards providing organizations with all of their digital needs. Focus on your core business and let the professionals give you a digital brand that matches your company. Visit our site at www.ThoughtMechanics.com today for a free consultation. Your website should be your hardest working employee, is yours working? Read to go? Contact Mike@thoughtmechanics.com to get started right away. This is a sample of our home-page. For more examples of San Francisco Web Design clients please visit our site at www.ThoughtMechanics.com.